My most important tip for User Folders is to move the ones that are important off your C: drive / partition. This is a critical step in the way I set up computers. A problem free backup / restore process depends on you having your docs, music, pics, etc. 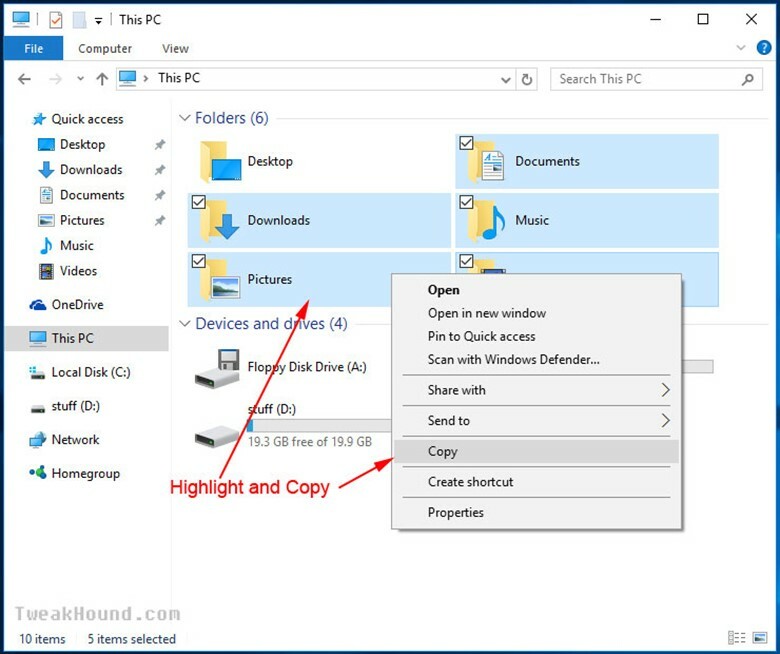 on a drive or partition other than the one Win10 is on. Using this method, you do not have to worry that some issue (virus, crash, hardware failure, etc.) will mean losing your data. If you move them to another drive it may also speed up access to these items. – Decide where you want to move these to. -A second disk is your best option but in a single disk system a second partition will do. 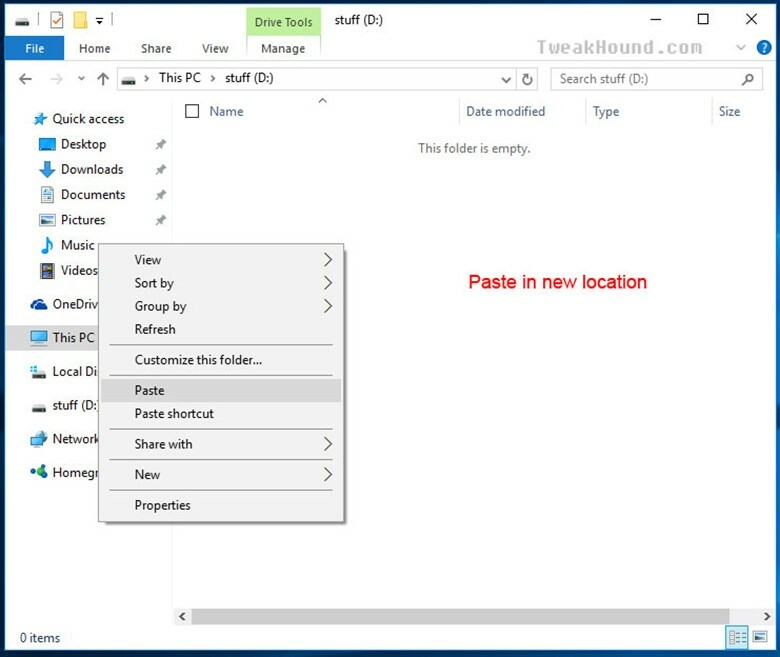 -Select the folders you wish to move and copy / paste them to the new location. -Pick the stuff you wish to be safe from any problems. -I would do at least: Downloads, Documents, Music, Pictures, Videos. -Once you have finished copying the files. 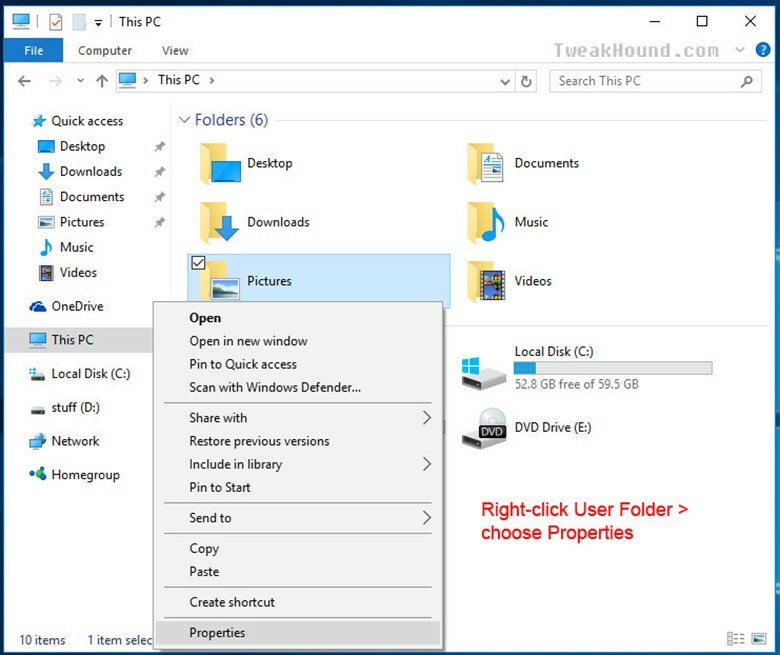 Go back to the original User Folder, right-click on each folder you moved. -Choose Properties from the menu. 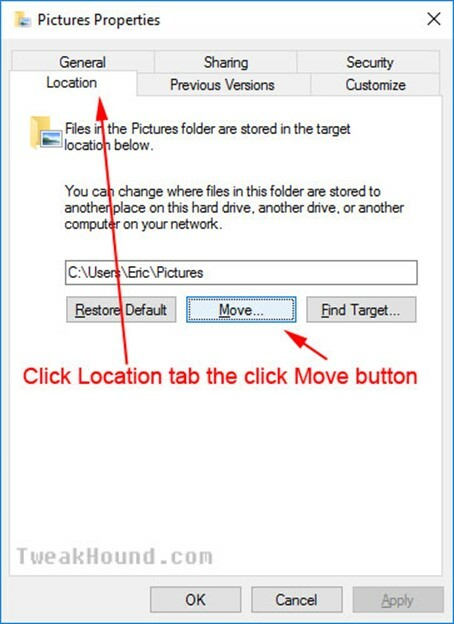 In the resulting window, click on the Location tab, and then the Move… button. 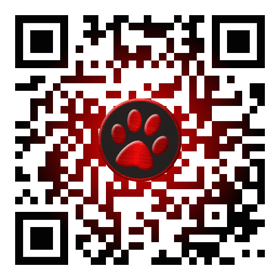 -Browse to the location you copied the files to. -Click once on the folder you want it moved to and then click the Select Folder button (bottom right of the screen). 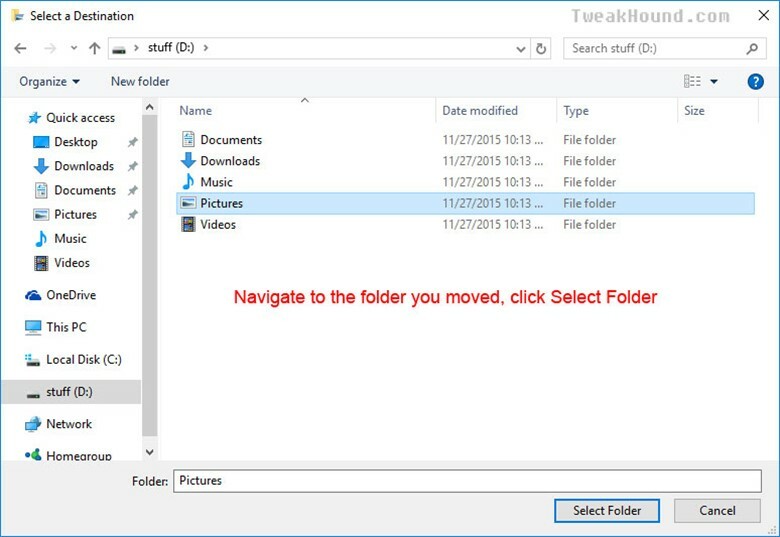 Repeat this section for each folder you moved. You can add any Folder to your Library. However, these DO NOT show in your User Folders only in your Libraries. 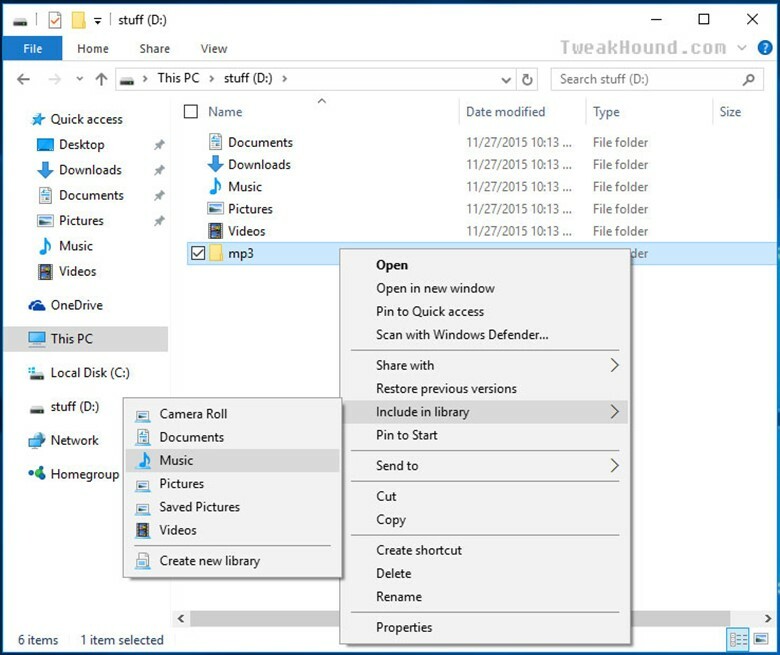 I will show you how to add your Libraries back to Windows Explorer in the next section. Simply right-click on the folder you wish to add to the Library > choose Include in library > choose the Library. 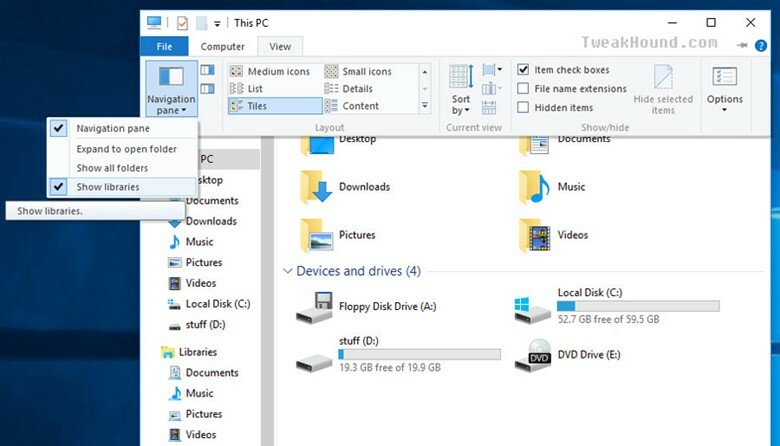 In Windows Explorer go to Navigation pane > choose Show Libraries or Show all folders.